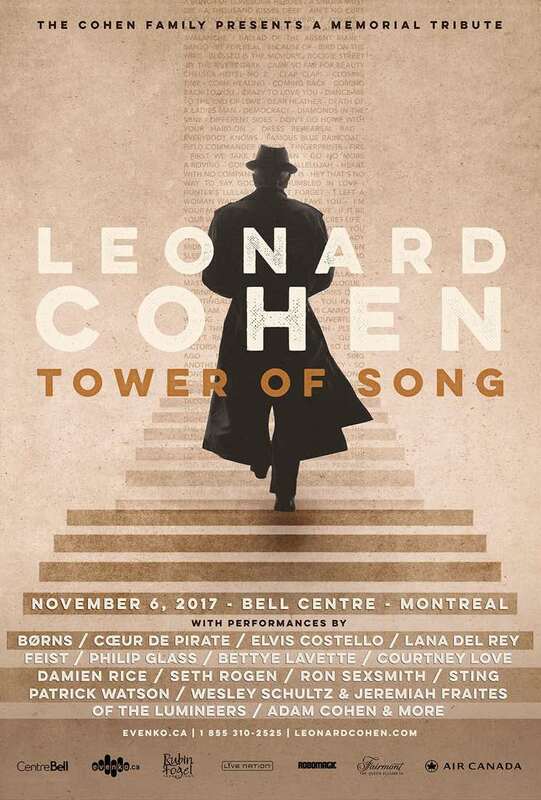 Ron Sexsmith, BØRNS and Bettye LaVette will also perform at "Tower of Song"
Next month, a number of artists and fans will gather in Montreal to celebrate the life and work of the late Leonard Cohen at a tribute concert dubbed "Tower of Song" — and organizers have just unveiled another round of performers. Courtney Love, Coeur de pirate, Ron Sexsmith, BØRNS, Bettye LaVette and Seth Rogen (yes, that one) have all been added to the bill. They join previously announced performers Elvis Costello, Lana Del Rey, Feist, Philip Glass, k.d. lang, the Lumineers' Wesley Schultz and Jeremiah Fraites, Damien Rice, Sting and Patrick Watson. Cohen's son, Adam Cohen, is co-producing the event with Hal Willner, and will also perform. "Tower of Song" will commemorate the one year anniversary of the legendary Canadian poet and songwriter's death, taking place on November 6 at the Bell Centre. With the fresh batch of artists revealed, an additional round of tickets will also be made available. They go on sale this Saturday (October 28) at 12 p.m. ET via Evenko. Cohen fans in Montreal can also show their appreciation for the artist by visiting a new exhibit called Leonard Cohen: Une brèche en toute chose / A Crack in Everything. It opens at the Musée d'art contemporain de Montréal on November 9.